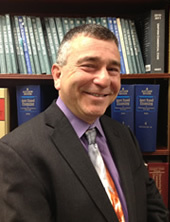 Herzberg Law Firm Steven Herzberg has practiced law for more than 17 years. Steven graduated from Northwestern University in 1995 with a B.A. in Economics. Steven received his Juris Doctor with Honors from the John Marshall Law School in 2001. He became a member of the Illinois Bar in that year. Steven is is also a member of the Federal Trial Bar. Personalized and Aggressive Defense Herzberg Law Firm is dedicated to providing an aggressive defense to those accused of a crime. We realize the arrest may be the first contact with the court system. Each case is different and each individual has different goals in a particular defense. Herzberg Law Firm is dedicated to achieving the best results for its clients. We are available to answer questions and guide you through the court processes and procedures. Experienced Defense Attorney Steven Herzberg has been defending those charged with DUI, traffic and other criminal charges almost exclusively since 2002. Steve opened Herzberg Law Firm in March 2017. Attorneys at the Herzberg Law Firm will defend you against prosecutions for DUI, aggravated speeding and other traffic violations. Law School: John Marshall Law School - Chicago, IL, J.D. Biography: Former Condominium Board President, Moot Court Honors Society. Recipient, Corpus Juris Secundum Award for Excellence in Criminal Law. Referee, Illinois High School Basketball.